Oh my goodness!! Can you believe that summer is already here? I am in shock that school is already out! Summer is such a fun time of year, the sun is out, schedules are a little more flexible and we get some extra opportunities to play! Summer also means that kids are looking for activities to help fill their days and what better way to keep them busy and beat the heat then to play their days away with these 75 Outdoor Activities! 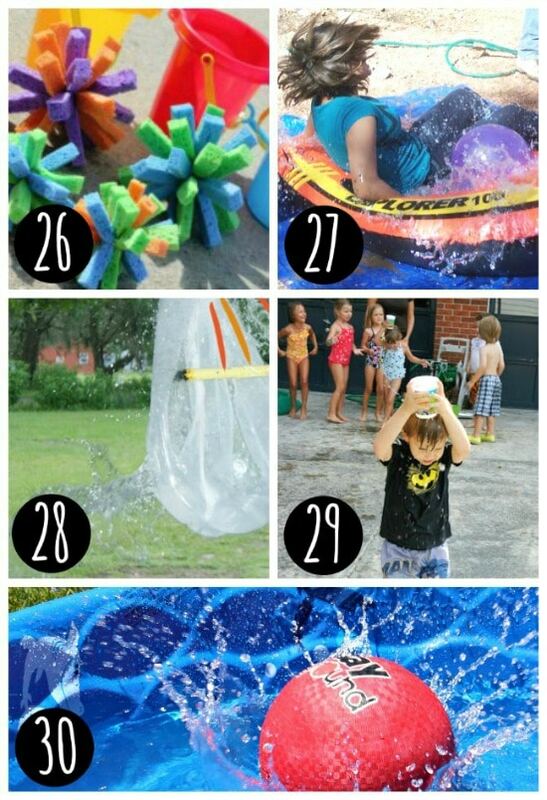 We have rounded up the best summer fun water ideas out there to keep your kiddos splashing, playing and enjoying the water all summer long!! Let’s kick this list off with a little DIY!! 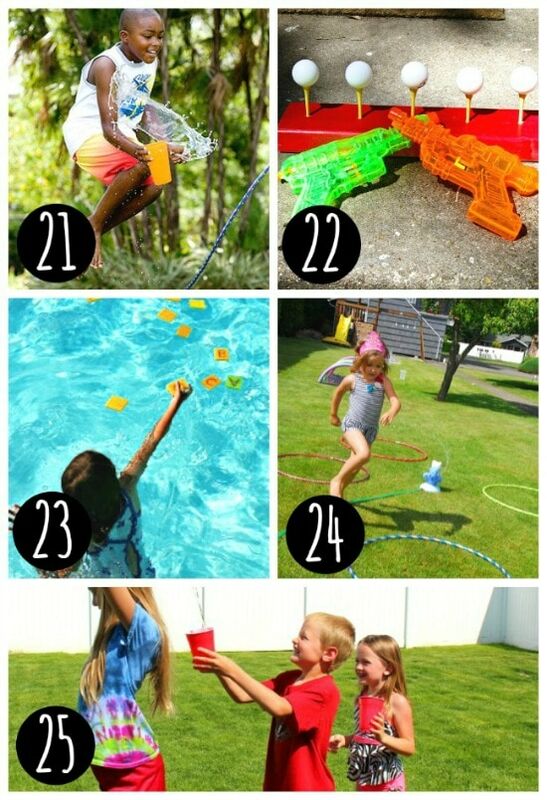 We love a good DIY as much as the next person and this list of water games for kids will be a hit all summer!! 1. DIY Dunk Tank – How fun is this DIY dunk tank? I am envisioning this being the hit of the neighborhood! 2. Kiddie Car Wash – The car wash is a perfect summertime play opportunity! One of the best water activities there is! 3. Noodle Sprinkler – With just a few simple supplies this sprinkler will come together in a flash and be ready to use all summer long! 4. Homemade Water Slide – Slide through the summer in the coolest way possible with this DIY back yard water slide! One of our more classic water activities. 5. 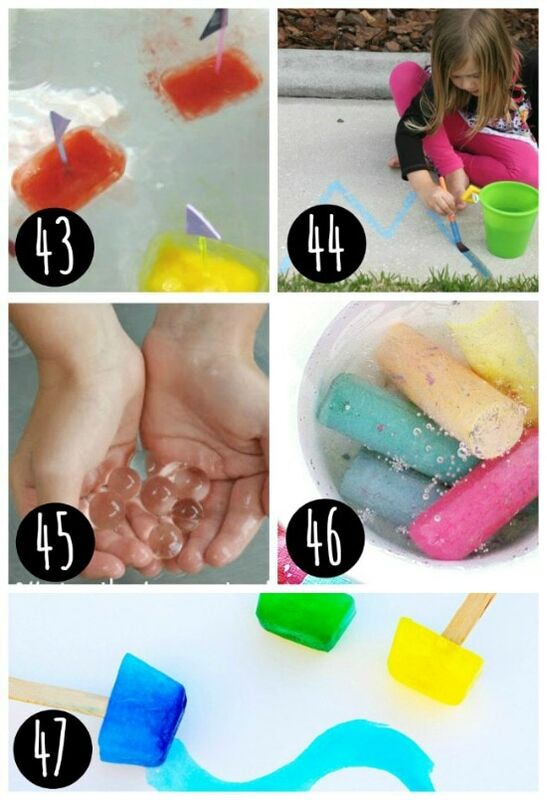 Mini Water Blobs – Personal mini water blobs are sure to be a hit with all of the kids this summer! 7. 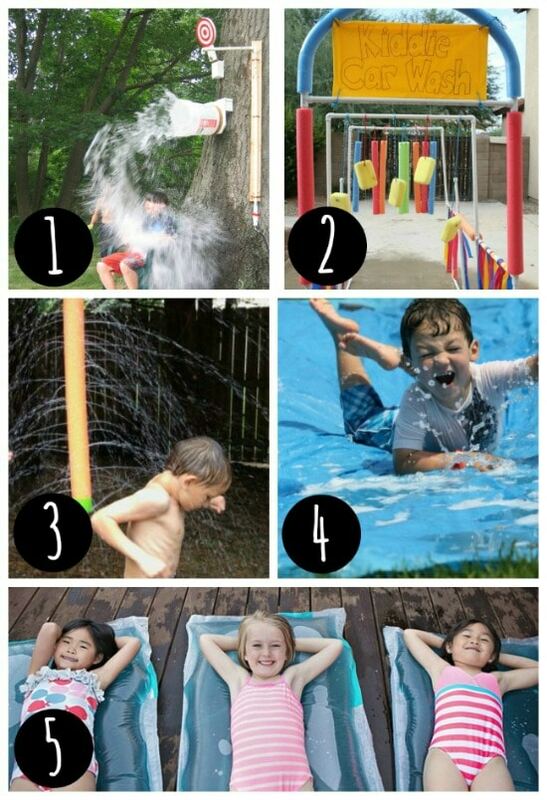 Sprinkler Park – Create a backyard water park to play in all summer long! One of the best water activities! 8. Sprinkler – This DIY couldn’t get any easier! 10. Tin Foil River – Boys and girls alike will love this tin foil river! Cheap and easy water activities are the best kind. 11. Water Tennis – Play the day away with this fun DIY version of tennis. All you need to get started is a few of these! 12. Running Stream – Adding a running stream to your play space will be a hit! 13. Water Table – Summertime provides lots of chances for outdoor play and this water table is sure to be a favorite play spot! One of our kids’ favorite water activities ever! 14. Water Wall – Watch their little imaginations explore as they discover the fun of this water wall. 15. Water Limbo – Backyard parties won’t ever be the same after you show off this DIY limbo. 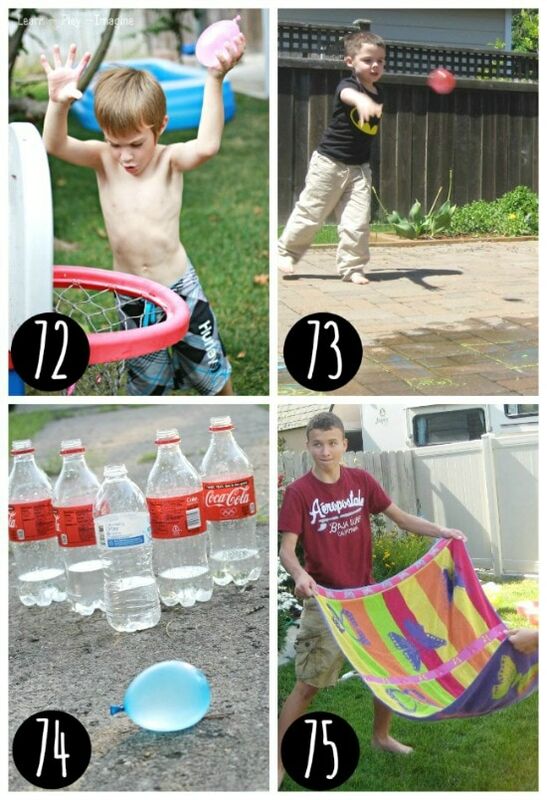 Backyard Water Games for Kids and Adults! Whether you are planning a water party or just looking for a fun way to play away the hot, summer days you will find the perfect game here! 16. The Great T-Shirt Escape – A Frozen t-shirt + a group of fiends is sure to provide some good laughs with this frozen Summer game! One of the best water activities for teenagers! 17. Backyard Fishing – A quick game that all of the kids will love. 18. Cup Races – Who will the winner be in this exciting water game? Grab some of these to get started! 19. Duck, Duck, Splash – Turn a traditional game into a splash fest! 20. Marco Polo – All you need is a pool and a few friends for this classic water game. Another one of our favorite water activities for teenagers! 21. 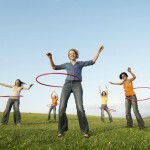 Jump Rope – With just a simple addition a game of jump rope can become a water game that everyone would love! 22. Ping Pong Guns – Race the afternoon away with this exciting water gun game. 23. Pool Scrabble – Add some spelling practice and a little pool fun to your summer! 24. Obstacle Course – Who will be the backyard obstacle course champion? One of the best water activities out there! 25. Pass The Water – Water + cups = a fun water game! 26. Sponge Ball Toss – Splash the afternoon away with this fun toss game, with a few of these and some water you will be good to go! 27. Relay Races – Get the whole family involved in this exciting relay race! 28. Water Piñata – Water activities can be as easy as a bag and a stick for some water fun! 29. Shark Bit My Cup – Race as fast as you can in this backyard water game. 30. Kick Ball – Any game can turn into a splash party with just a little imagination! 31. Sponge Bullseye – With just a little chalk and some sponges you will have an afternoon of fun. 32. Freeze Tag – Backyard tag will turn into a favorite game all over again! 33. 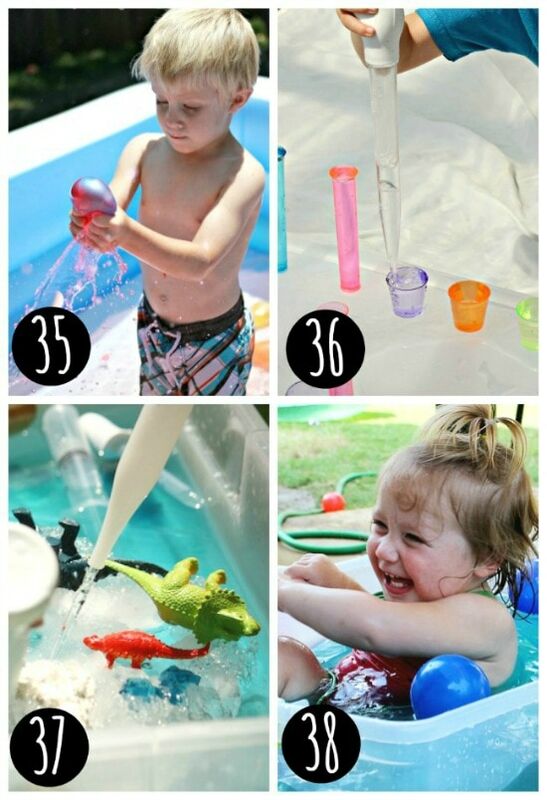 Splash Play – This water play idea will be a be a hit! 34. Water Relay – Everyone will want to join in on this relay! Help your kids’ imaginations bloom this summer by allowing children to explore and discover through water play! 35. Color Pop – Watch your kids discover the world of color as they play the afternoon away. 36. Cups And Water – This activity is sure to keep their little hands busy for hours! 37. Dino Dig – Help your kids discover their inner Paleontologist! Grab a pack of these to get started! 38. Color Tubs – Splash and play in the heat of the day for a fun afternoon of water exploration. Bins make such great water activities! 39. Duck Races – With the help of a spray bottle and a few rubber duckies you have hours of play! 40. Window Art – Sensory play can be as simple as some foam shapes and a little water. 41. 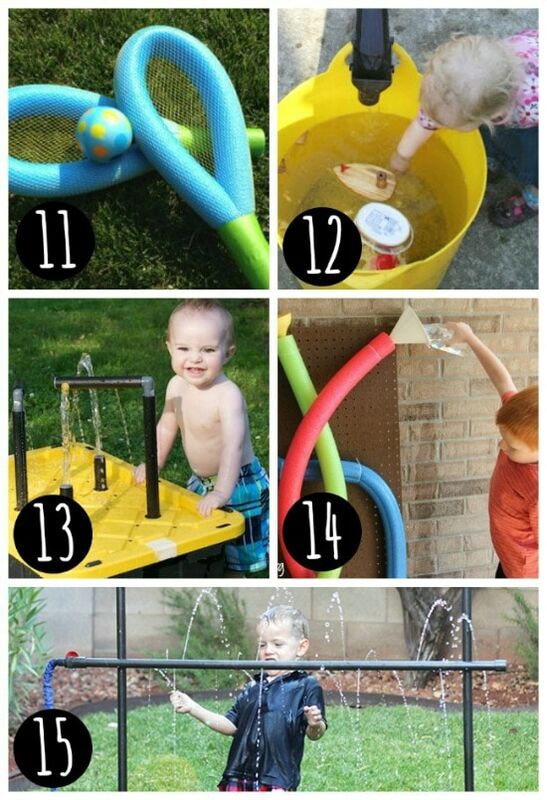 Running Water – Adding running water to your play space will be a breeze with this tutorial. Be sure to check out their other water activities, too! 42. Ice Chalk – Discover new ways to color and draw with this fun idea! 43. Ice Boats – Race the day away with these bright ice boats. 44. Water Painting – Check out this fun post for some fun water activities using paint! 45. Water Beads – This invisible water play fun will be a hit with kids of all ages! We LOVE water beads! 46. Wet Chalk – By soaking your chalk before you play your pictures will get a special touch. 47. 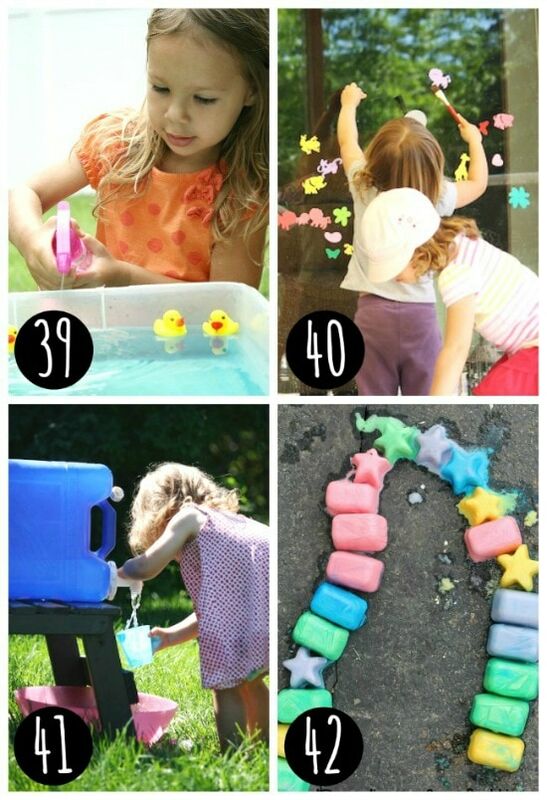 Ice Paint – We are loving this fun water paint idea! 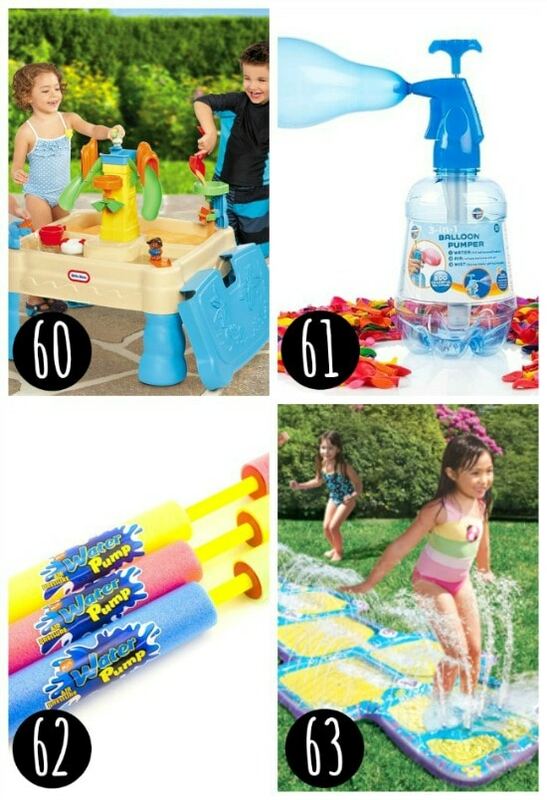 This awesome collection of water toys will help your summer stay nice and cool! 48. 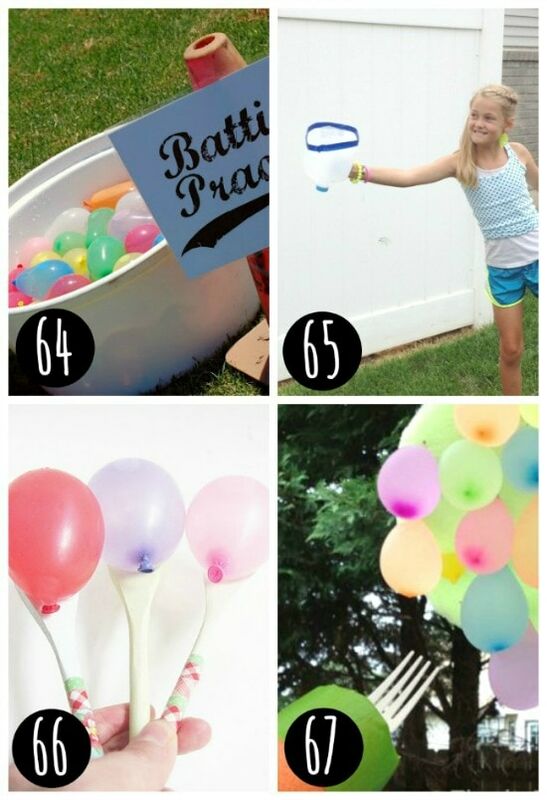 Bunch-O-Balloons – Don’t waste another afternoon filling and tying water balloons one-by-one! 49. Balloon Launcher – See how far can you launch your water balloons with this fun balloon launcher. 50. Hydro Hoops – Shoot some hoops and stay cool this summer! 51. Double Slip-N-Slide – Race to the bottom to see who the slip-n-slide champion will be. 52. Geyser Sprinkler – Running through the sprinkler has never been more fun! 53. Rainbow Ring Center – Splash the day away in this bright and fun backyard pool. 54. Chuck the Duck – A pool game that everyone will love! 55. Play Mat – Don’t leave the little kids out of the water play this summer! 56. 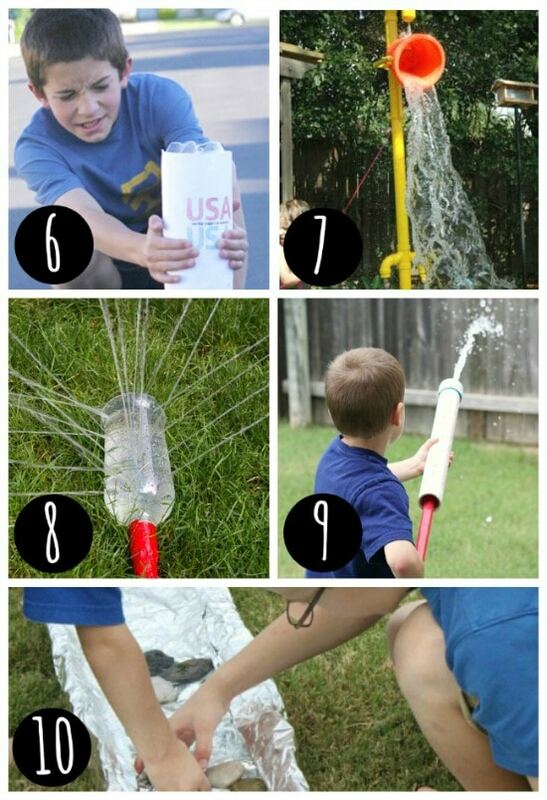 Splash Blaster – Enjoy hours of fun with this fun water rocket! 57. Splash Bombs – Any game will be more fun with these water bombs. 58. Slip-N-Slide Baseball – Water baseball will never be the same! 59. 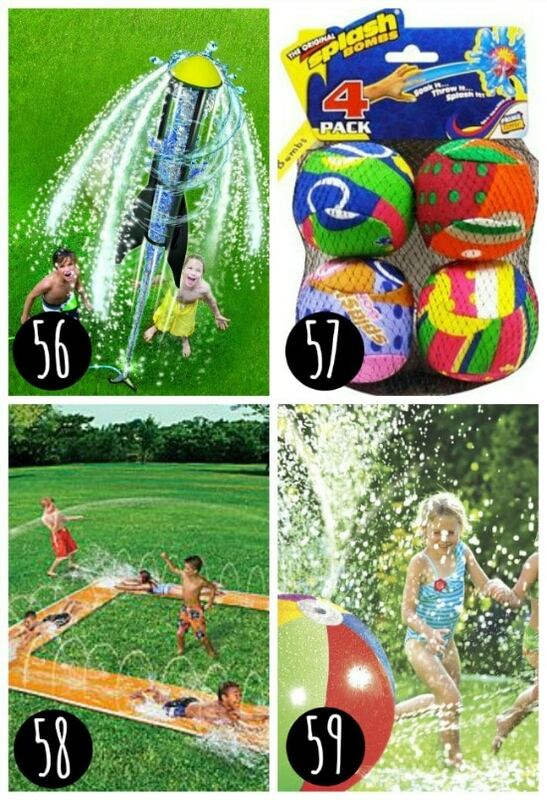 Splash-N-Spray Ball – A backyard water sprinkler that everyone will love! 60. Water Table – We LOVE this water table at our house! 61. Water Balloon Pump – This water pump will be a great help for kids to blow up water balloons this summer. 62. Water Pump – Spray these water guns all summer long for lots of wet water play! 63. Water Hopscotch – A fun addition to any water toy collection. 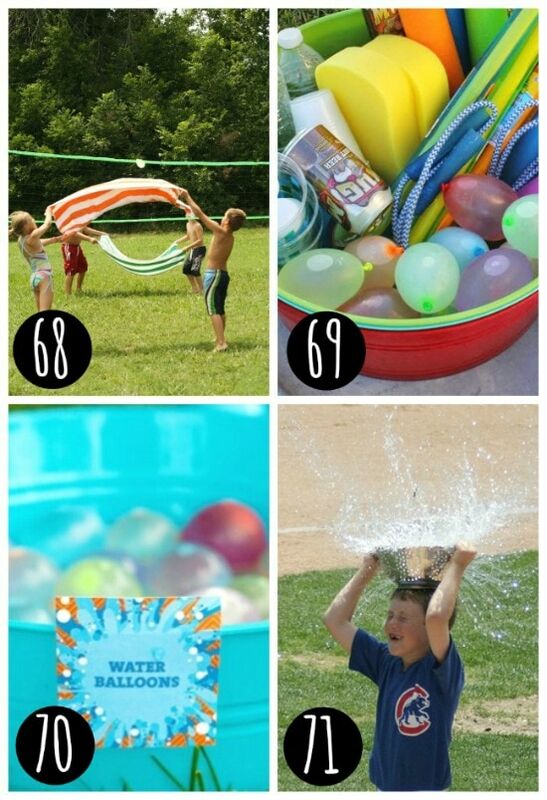 These water balloon games will be a hit with the whole family this summer! 64. Batting Practice – Water balloon batting practice is going to be a favorite in no time! 65. Water Balloon Catch – How long can you go without dropping the water balloon? 66. Spoon Races – Be careful not to drop your water balloon! 67. Balloon Jousting – This water splash game will be a fun backyard addition to any party. 68. Water Volleyball – This little twist to the game of volleyball will have everyone enjoying an afternoon in the sun! 69. 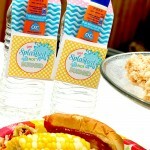 Minute-To-Win-It – Check out this post for a fun water twist on the popular game Minute-To-Win-It! 70. Water Balloon Fight – Sometimes a traditional water balloon fight is that best way to cool off! 71. Water Balloon Challenge – Who will be the water balloon challenge champ? 72. Water Basketball – Let’s shoot some hoops and cool off this summer! 73. Angry Birds – Make this game come to life and enjoy a fun water day in the summer sun! 74. Water Balloon Bowling – With only a few supplies needed, this water balloon game will provide hours of entertainment. 75. Towel Toss – See who can toss the balloon the most times without dropping it! We hope that you enjoy this fun list! 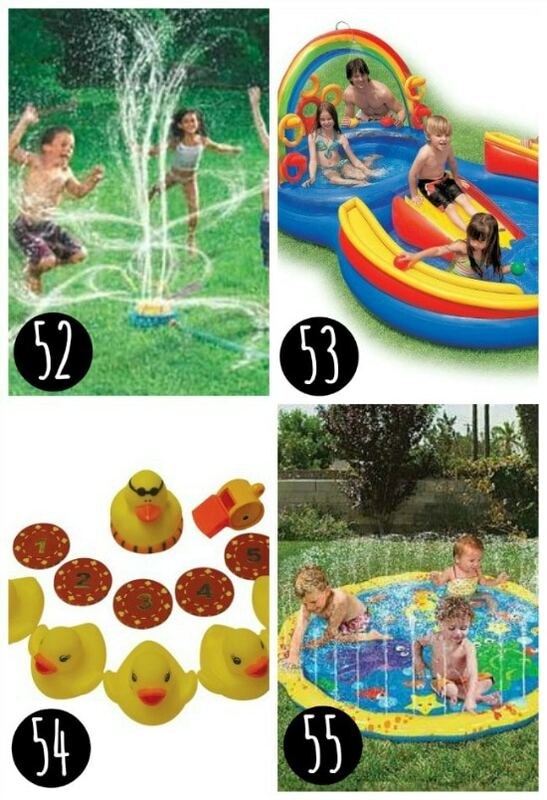 I personally can’t wait to get started with ALL of these fun water activities!! Looking for more? Be sure you check out these amazing Diva posts! Water Basketball Date Night! – Need a little bit of water fun for just you and your other half? 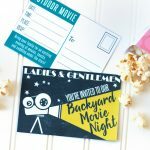 Check out this post for an awesome summer date night idea!! 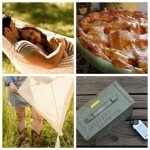 Summer Boredom Buster Kit! 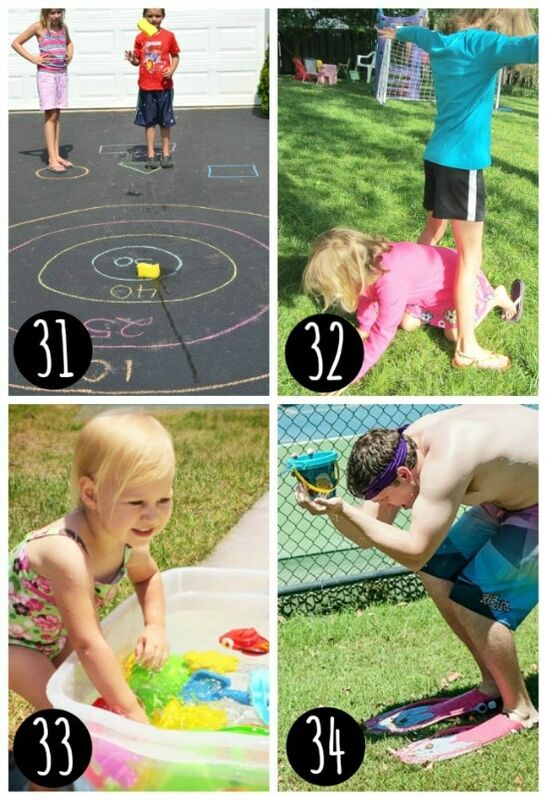 – Looking for more summer fun ideas to keep your little busy?! Be sure to check out this post!! 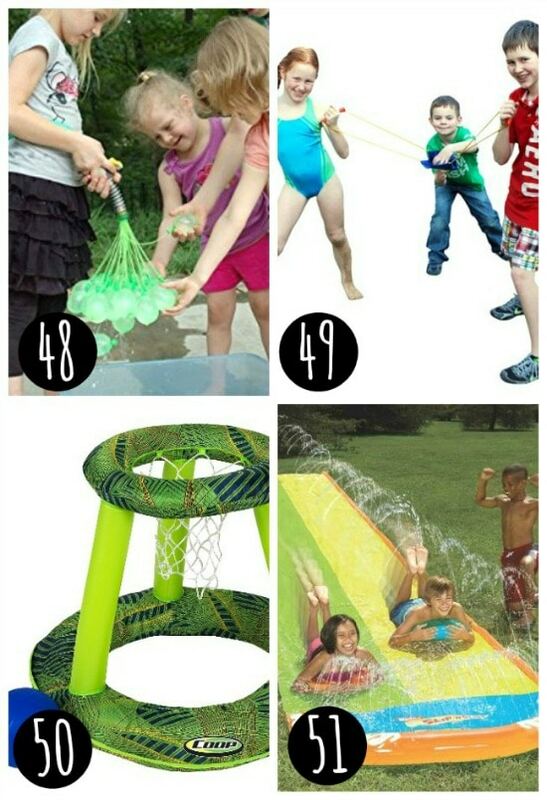 8 Responses to 75 Outdoor Water Activities! 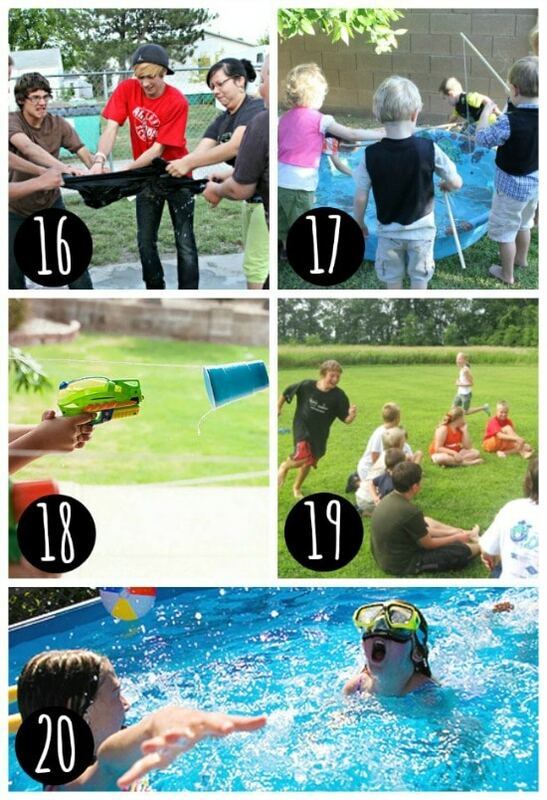 Wow, I tried these activities for my son’s birthday party and they were perfect! I also found a game called MashBall that my kids are currently obsessed with and thought I would share it since this page was so helpful for me. I actually saw kids playing it at a tailgate before a football game so I looked it up online and found it at mashballgame.com, and it turns out that it can be played in water as well. Initially I thought it may be something for kids slightly older than my son and daughter who are 7 and 10, but I took a chance anyway and it turned out great. Now my house is known as the game house! Thanks again for a great list of games. I love things that get my kids outside and play in the pool! It’s 90 degrees with 80% humidity where I am at- so these look HEAVENLY! I’m ready to grab my swimsuit right now! Fantastic fun ideas! Thank you!